Donald Jason Raymond, a former law librarian at Southern Illinois University, filed a lawsuit in 2011 against Southern Illinois University after being terminated in 2009. His lawsuit survived a motion to dismiss, according to The National Law Journal. In a motion to dismiss, the defense usually argues the plaintiff fails to state a claim. The defendant responds to procedural flaws in a complaint without responding to the merits of the case. The defendant requests a court to dismiss civil claims without legal merit. The court determines if sufficient facts are pled to sustain a prima facie case for the alleged cause of action. The court does not evaluate the merits or go beyond the complaint. The university allegedly terminated Raymond for allegedly threatening to “bash” a colleague with a crowbar. U.S. District Judge Michael Reagan on September 25, 2012 dismissed most of Raymond’s claims against the university and various administrators, but allowed two claims on retaliation by the university and former law dean Peter Alexander to proceed, and two claims of tortious interference against Alexander and colleague to proceed, provided Raymond re-pleads those counts by October 12, 2012. Raymond claimed the law library colleague fabricated the crowbar threat to protect her job; that several administrators violated his rights by failing to fully investigate the circumstances before terminating him; and that the accusations have hindered his attempts to search for another job. According Raymond’s complaint, a student library worker filed a sexual harassment claim against him, but no disciplinary action resulted, and Raymond never saw the complaint. 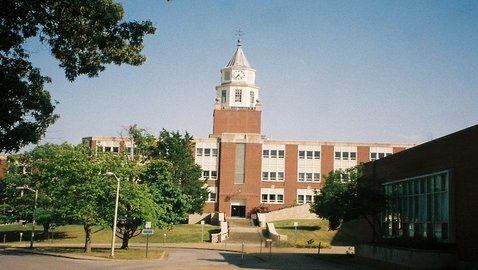 In June 2009, Raymond learned a law library employee, Marilyn Jane Miller, obtained a copy of the student’s complaint, which was to be kept confidential under university’s policy. Miller showed Raymond the harassment complaint, against the instructions of her supervisor, according to Raymond’s complaint. After showing the harassment complaint to Raymond, Miller told library director Douglas Lind she gave the complaint to Raymond. Lind said he would take the matter to former law dean Alexander, according to Reagan’s ruling. Miller then told her supervisor Raymond threatened to hit her supervisor with a crowbar, and later told administrators Raymond frequently made similar threats against the supervisor, the judge wrote. Southern Illinois hired Raymond in 2008 Raymond, after he worked as a law librarian at Cravath, Swaine & Moore and Paul, Weiss, Rifkind, Wharton & Garrison. The university hired him as a tenure-track assistant professor and law librarian, according to his complaint. He had a 12-month contract.